With UFC 130: Rampage vs Hamill fast approaching, check out what events are available for the fans this week. MMAWeekly.com will air UFC 130: Rampage vs Hamill’s press conference video stream later at 1:00 pm PT/4:00 pm ET live. In addition to this, fans can also watch UFC 130 Fighter Q&A with Phil Davis via live stream at 2:00 pm PT/5:00 pm ET on Friday. The Q&A session will be followed by the upcoming event’s official weigh-in at 4:00 pm PT/7:00 pm ET. 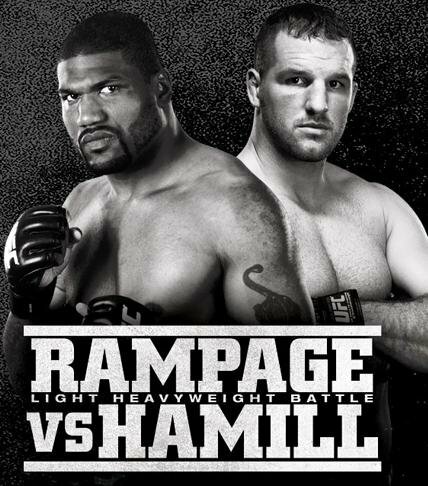 On Saturday, May 28, viewers can watch the UFC 130: Rampage vs Hamill post-fight press conference’s live streaming, shortly after the main event. All live streams are courtesy of UFC.com. They are all subject to fluctuation, depending on the venue’s bandwidth levels. Nevertheless, don’t miss the events leading to Saturday night’s UFC 130 bout.